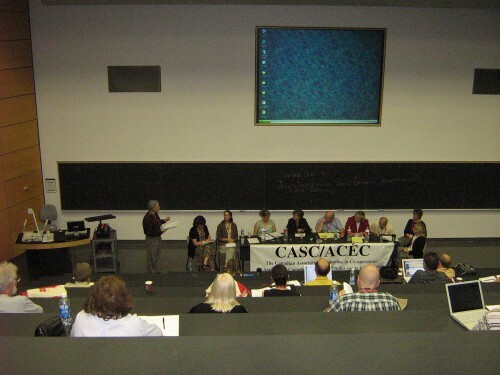 The annual conference of the Canadian Association for Studies in Co-operation was held May 26-29, 2014 at Brock University, in St. Catharines Ontario. 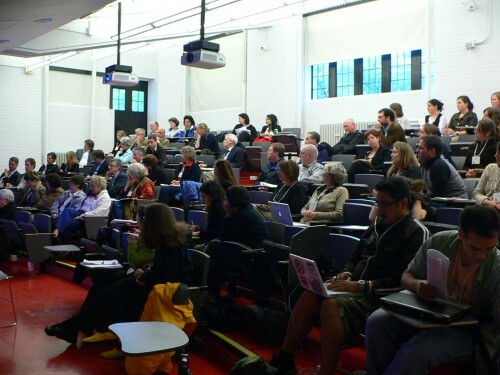 This year, we again held joint sessions with other organizations (Association for Nonprofit and Social Economy Research, Canadian Association for Studies in International Development and the Canadian Association for Food Studies). 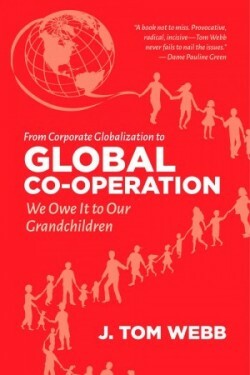 The very nature of the co-operative movement – with its wide range of organizational forms and a presence in virtually all sectors of the economy – inevitably leads it to cross borders and expand boundaries – geographic, social, cultural, political and economic. Co-operatives have a long history, dating back to the 19th century, of not only working within local communities, but also of moving outward to affiliate and collaborate with other communities. In our increasingly global economy, this proclivity of co-operatives to move outwards is only enhanced – facilitated by advances in communication and transportation and impelled by new economic realities. The theme of this year’s annual conference draws analytic attention to the variety of ways in which co-operatives, and the social and solidarity economies in which they are embedded, innovate as the move across borders, break down barriers and expand boundaries. Co-operatives: Community Development through local food development. The argument presented in this paper is that the current food system distances and segregates consumers to improve sales through development of new consumer groups, but this segregation acts to disassociate community groups. According to Jaffe and Gertler (2006) consumers are sorted and resorted into market segments which emphasize the differences in community groups. 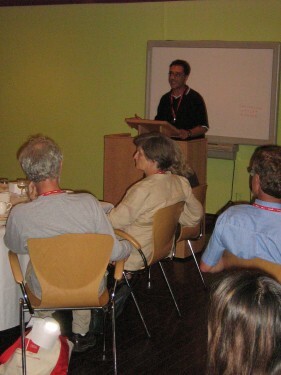 Our research question focused on the role of food co-operatives within Ontario communities. Through case study analysis and key informant interviews of nine Ontario food co-operatives our research has found that small and medium sized, Ontario food co-operatives are providing opportunities for direct interaction between different socio-economic groups within their community. The co-operatives are acting as bridges between socio-economic groups through local food initiatives and educational programming. 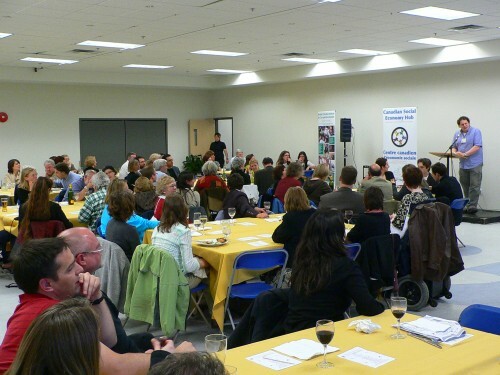 By maintaining a concentrated membership group centred on the co-operative retail location and offering interactive, educational programming, the co-operative provides an opportunity for greater interaction between community groups. Northern, rural and Indigenous communities are often neglected in the policy-making processes, due to smaller populations, less access to media and power-brokers, and the challenges inherent in organizing and mobilizing across large distances and diverse populations. Community-university collaborations and cooperation are a potential way of overcoming these barriers. This case study explores the 6-year history of the efforts of NORDIK Institute to influence policy making and increase the impacts of communities in Northern Ontario. The authors’ analyses identify a number of criteria to the collaboration which has led to success, as well as a number of potential areas for further research. The study concludes that community-university collaboration and cooperation may significantly improve opportunities for marginalized communities to have a stronger – and louder – impact on responsive policy development. The current collaborative (IDRC-funded) research being undertaken by University of Saskatchewan, Makerere University (Uganda), Moshi University College of Co-operative and Business Studies (Tanzania), Independent Institute of Lay Adventists of Kigali (Rwanda), along with the Canadian Co-operative Association uses a participatory approach to examine the role of an integrated co-operative model in rural development and poverty reduction in Africa in comparison to similar models of co-operative development in Canada. 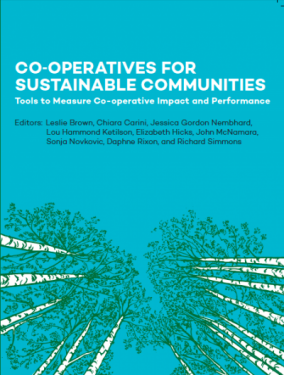 The research asks whether rural development through co-operatives is more effective when the co-operatives function in an integrated manner, and if so, under what conditions this integration works best. This presentation will highlight initial findings from the first stage of the research in Uganda where researchers used household surveys and focus groups to start to answer questions on whether or not the integrated model leads to rural development and poverty reduction goals, and under what conditions the integrated model can function effectively. Responsabilité sociétale des coopératives, un concept à construire? Avec l’émergence des réflexions entourant le développement durable, la prédominance de la sphère économique en matière de développement a été remise en question. En tant qu’acteurs importants de cette sphère, et étant donnés les impacts tant positifs que négatifs de leurs activités sur les communautés et l’environnement, les entreprises ont été invitées à revoir leurs façons de faire, en s’interrogeant notamment sur leur responsabilité sociétale. En plus de faire l’objet d’une littérature abondante, la responsabilité sociétale des entreprises (RSE) est maintenant intégrée à un norme internationale et apparaît dans de nombreux documents à portée internationale, régionale ou nationale. Toutefois, jusqu’à présent, trop peu d’études se sont intéressées à la façon d’articuler ce concept dans le modèle coopératif. Les approches conceptuelles existantes peuvent-elles vraiment s’y appliquer ou la notion de responsabilité sociétale des coopératives demeure-t-elle à construire? Cette réflexion se veut, avant tout, exploratoire. Farmers’ cooperatives have grown rapidly in China over the past decade as they are been viewed as an important institution for linking numerous small-scale producers to agro-food supply chains, and particularly value-added food chains. 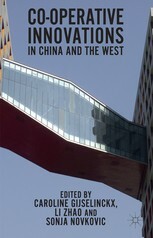 Yet little is understood about the impacts they have on rural development in China. To address this issue, my research examines how cooperatives in China are established, what roles different actors play, how new entrepreneurial strategies are emerging and pursued, and how decisions are made. According to van der Ploeg & Roep’s framework, diversified farming strategies adopted by cooperatives are classified into three main categories: deepening, broadening and regrounding. The contributions of cooperatives are assessed by four key elements of rural development: innovation, conservation, integration and participation. We also analyze development challenges in promoting value-added agricultural production and marketing. Our analysis also has broader implications in relation to cooperatives elsewhere in terms of government roles, development strategies, etc. This paper addresses some operational challenges that have been encountered while conducting the National Study on the Impact of Co-operatives. In particular, this presentation will focus on issues relating to data collection, interpretation and analysis. The extant literature suggests that “employee engagement” is an important condition of firms’ ecological sustainability efforts, but very little of the literature addresses this in the context of highly worker-participative firms such as worker co-ops. Furthermore, while pro-ecological attitudes may coincide with those of economic democracy, their mutual interactions within firms are not yet well-understood. This paper explores the role of worker-members’ participation in their co-ops’ ecological sustainability through interview-based case studies of several North American worker co-ops, including aspects such as governance, group norms, innovation, and worker-management relations. Volunteers have always been a critically important element in CCA’s international development program because CCA’s development model engages the Canadian sector for its knowledge and expertise. 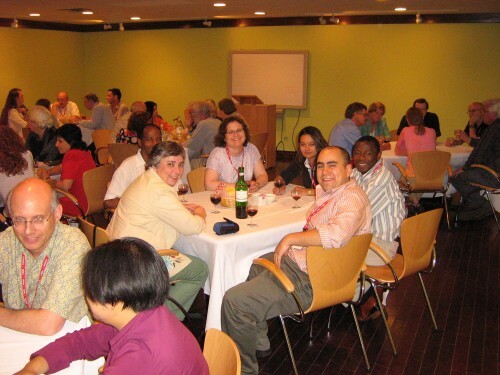 From best practices in governance or management to legislation and financial training, the Canadian sector volunteers to share its co-operative knowledge in order to build the capacity of developing co-operative and credit union networks around the world. CCA’s engagement success is linked directly back to the co-operative principles of volunteerism, for the benefit of partners around the world. Over the past year, CCA has undertaken a 360 degree evaluation on the impacts of its volunteer program from the perspective of volunteers, staff and overseas partners. This presentation will highlight the importance of volunteering to our programming and the reciprocal impact for overseas partners, volunteers and their co-operatives at home. 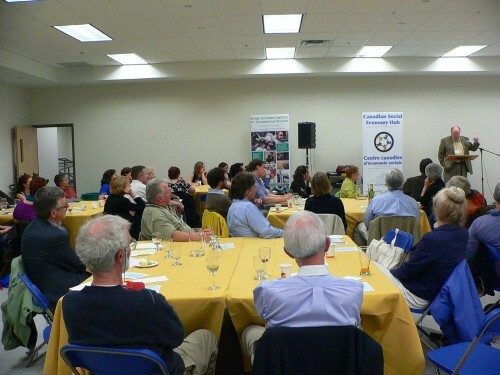 The presentation will demonstrate the effective use of co-operative values in action. What are the lived experiences of confined women? Do confined women feel that rehabilitative and skills development programs offered through provincial custodial institutions prepare them for reintegration into the community post-release? How might the use of social economy principles in forming a co-operative improve institutional programming to benefit the post-release quality of life for criminalized women? 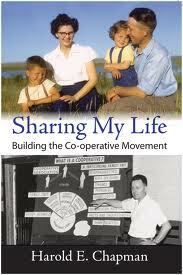 Participants believed that a prison-based co-operative would maximize personal and social gains. For the women, the benefits of co-operatives reside not only in work-related skills and income but also in a sense of self-efficacy and the opportunity to form strong social bonds with other co-operative members in an empowering and legitimate business entity. 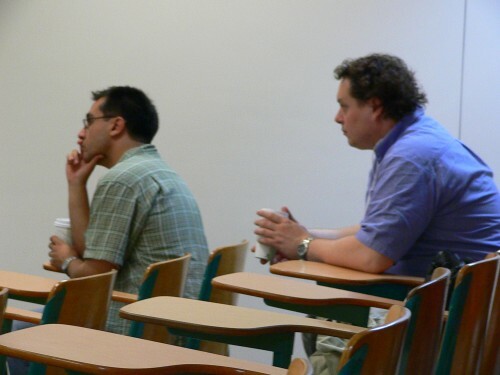 Strategy scholars in the practice tradition have called for more dynamic views of strategy formation that simultaneously pay heed to the purposive initiatives of actors who strategize at the micro level and to the embeddedness of these initiatives (Vaara and Whittington, 2012; Tsoukas, 2009; Whittington, 2007) in the broader social context. In this paper I delineate the contours of an embedded view of strategy-making in the context of a successful dairy producer’s cooperative – AMUL, India. The objective of this paper is to twofold – 1) to demonstrate how strategy was formed through the reciprocal interaction between three key elements – “strategic intent”, “strategic initiatives” and the broader social context in which these initiatives were introduced; 2) to appreciate the salient role of boundary actors (in this case, AMUL’s veterinarians) and middle managers in diffusing scientific animal husbandry practices among member-producers in a traditional context. Throughout history African American women have participated in and lead mutual aid societies and cooperatively-owned businesses. The author traces women’s experiences and roles in social and service-sector cooperatives from Philadelphia’s Female Benevolent Society of St. Thomas founded in 1794, to Freedom Quilting Bee (1967) and Cooperative Home Care Associates (1985). Women’s cooperatives tend to operate in low-wage sectors, but with a social mission – to provide quality work and better services in sectors know for either poor quality, high turnover and few benefits. This study explores the labor benefits of Black and Latina women’s cooperatives, by analyzing the efforts of women’s cooperatives to provide high quality training, full benefits, competitive, often living, wages, and control over work rules. Some members have also been able to accumulate modest assets because of the economic stability and asset-building programs offered by the cooperative. Co-op development is a challenge for all of the Québec regions. On top of the specific roadblocks for each territory, issues related to the government policies and the interests of the actors in place influence the efforts of the co-op development. 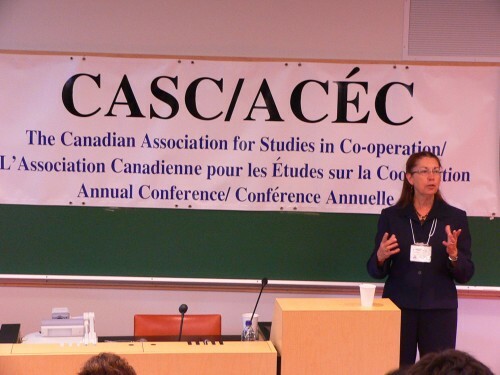 The administrative region named Côte-Nord in Eastern Québec has decided to conduct an evaluation of the efforts of the last decade to develop cooperative organisations. Actors from the social economy, the co-operative sector (federations, Regional development co-operative, city councils) have regrouped to address the evaluation process and look forward for improvements. The scientific side of the evaluation process lies in the methodological and theoretical framework used. Based on the co-op values, the process was managed with transparency, honesty and self-help. Chronical of a success foretold. One of the challenges in Ethiopia, as in any other African countries, is the struggle to develop sustainable agricultural production system to cope up with the increasing population pressure, and the continuing growth in the demand for food. Farmers’ organisations are increasingly seen to play important role in driving agricultural transformation processes in Ethiopia and other Sub-SaharanAfrica, despite their mixed record of success. What is unknown is the the effects of membership in farmers’ organization on the performance of small farmers. Using a sample of 1200 farm level teff producers data from five regions of Ethiopia we show that co-operative membership may not have effect on the farmers’ performance. On the contrary, membership in small community discussion group has a significant effect on the performance of the sample small farmers. We discuss the implications of these results for policies, and public and private initiatives focusing on promoting increased and sustainable food production, with farmers’ organisations as key mechanisms in these processes. cooperatives. I expect the results of this paper may provide co-operative leaders, policymakers and practitioners with relevant information on co-operative firm financing. Specifically, I expect the paper will contribute to the on-going co-operative financialgovernance debate. Further, this paper will contribute to the empirical literature in cooperative economics and finance. As much as co-operative governance is under-theorized, the role of member participation in effective democratic governance receives even less attention. The author argues that boards with even the greatest circumspection and probity are doing only part of their job if the membership they are supposed to be serving are not actively and consciously involved. But saying and wishing are not doing. This is the area where most co-operatives fall down, especially as they age, and with the direst consequences. 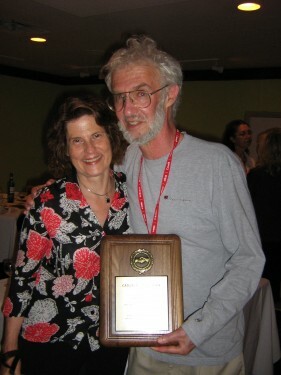 Using the theories of authorities such as Carol Pateman, Albert O. Hirschman and others on deliberative democracy, the author reviews several of the co-operatives he has experienced personally and through research, to explore how to add this important aspect to the theory and practice of co-operative governance. 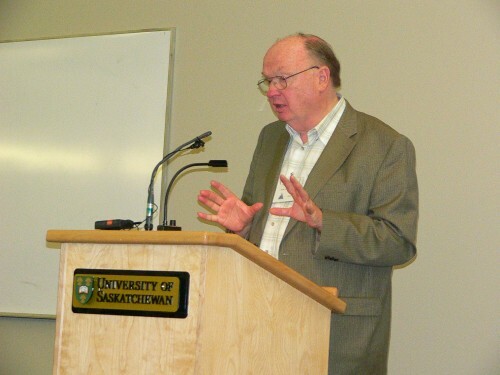 Since its launch in 2012, the Canadian Co-operative Research Network has continued to grow, offering an online network for co-operative researchers and practitioners that allows for news exchange, research-sharing, determining research priorities and creating a link between researchers, students, practitioners and existing co-op networks year-round. In 2013, the first full year of operation, the network attracted 5157 users and contributors from 136 different countries. This presentation describes the development of the network and showcases the various features that can elevate the connection, knowledge and growth of the co-op research community. 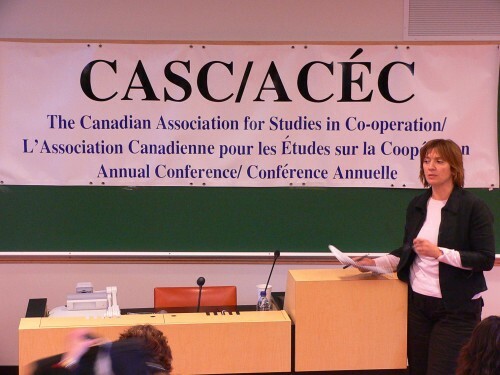 The paper examines the economic impact of the Co-Operative sector in Canada on the basis of a recent research study. Co-operatives play a strong role in the Canadian economy and in the social fabric of our nation. This study seeks to quantify the impact of this sector. Although similar work has been done at a provincial level in several jurisdictions, this is the first national study of its kind in this country. This research project uses revenue and employment data from Statistics Canada, the Canadian Co-operative Association, and Credit Union Central of Canada to analyze the impact of all organizations that have self-identified as co-operatives in Canada. We used the Input-Output Analysis method to estimate the direct and spinoff benefits of this sector on the economy. This paper explores the participation of housing co-operative members in the governance of their co-op, and specifically that of younger members (those between 18 and 30 years of age). We address this topic in terms of a) the benefits to young members as individuals, b) the means of fostering this participation, and c) the benefits to the co-op of doing so. Whereas these aspects appear to be little-studied in the literature on housing co-operative governance (even without respect to age), the present study stands to make a unique contribution to the literature, and possibly also to offer actionable insights to housing co-op boards and staff. This qualitative research is being conducted through interviews with staff and governing members of all ages within several member properties of the Cooperative Housing Federation of Canada, the community partner of this research project. Member Engagement in Co-operatives: How Does it Matter? Members of co-operatives have the opportunity to become involved in these organizations in a variety of ways, but how does this involvement affect them? This research endeavours to answer this question by analysing data collected from members of housing co-operatives across the country. More specifically, I examine how involvement in different aspects of governance may predict outcomes related to human and social capital. As part of the evaluation of its “Sustainable Livelihoods through Co-operatives” program, CCA used an innovative technique called Micro-Narrative Analysis to bring the voice of individual co-operative members into the evaluation. In this approach the researcher collects narratives from a large number of project beneficiaries, who then signify the meaning behind the story themselves, removing a degree of researcher bias. CCA collected 698 micro-narratives from projects in 3 countries (Malawi, Philippines and Colombia) and the analysis of a large data set allows for greater validity than one might achieve through other qualitative methods, moving from anecdotal to the wisdom of crowds. Findings indicate that in large measure people feel their participation in co-operatives leads to overcoming poverty, and security, opportunity and success. This presentation will outline the strengths and weakness of this innovative approach, and highlight some of the major findings from the people we work with in developing countries. The banking literature has examined the effects of technological, regulatory and macroeconomic change on recent US commercial banking industry performance. Credit unions provide similar products, but the absence of an explicit profit maximization motive within US credit unions, combined with regulations constraining the ability to generate income from all investment options, may uniquely affect this sector. Furthermore, the fixed costs of adapting to new field of membership regulations and the limited capacity of relatively small credit unions to absorb income variations associated with macroeconomic changes suggest asset size should be considered when studying these effects. Using a panel of financial and macroeconomic data from the 1994-2011 time period we examine the effect of macroeconomic, regulatory, and technological changes on the income statements and balance sheets of US credit unions with $10 million or less in assets. These changes have affected US credit union financial performance, especially as related to costs and product offerings, contributing to consolidation. As alternative food systems become more visible in the consumption and production of food there is a curious absence – a discussion of the role of co-operatives in developing and sustaining these alternatives. This “visibility problem” is odd given the fact that the origins of alternative food systems feature the co-operative form of business at almost every level of development, and in fact often are initiated by co-operatives. Further, co-operatives themselves emerge as a distinct form of business in Rochdale motivated by issues of quality in food – namely unadulterated grain. The question thus arises – if the history of alternative food systems and co-operatives are so tightly linked, why is there a relative paucity of focus on co-operatives when discussing current alternative food systems? This paper addresses this gap, and discusses how the co-operative form of business is uniquely placed to feature centrally in any alternative food system for a sustainable future. Since 2012 and the IYC, we have been reading more impact studies than ever. 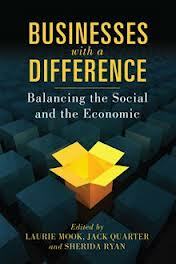 This research underlines the role played by co-operatives in social, economic and political terms. In some regions of the world and through history, this impact could also be understood in terms of cultural matters. 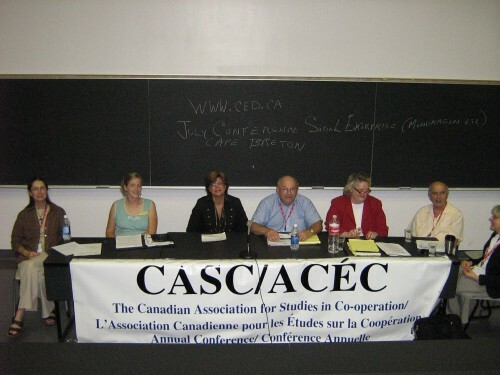 The concept of identity in the co-op field is often studied through the sense of co-operative identity (coop principles and values). However, few researchers focus on how cooperatives contribute to building a sense of identity for both individuals and communities. Out research project tries to understand this process by using the theories of recognition and idetnity (Honneth, Dubar, Ricoeur) and by studying First Nations philosophy and cooperative model. Using a perspective of identity-building, special attention will be given to the links existing between the individual and the collective. This workshop will solicit input from other co-operative business educators on the preliminary results of the State of Co-operative Management Education report being developed for the 2014 International Summit of Co-operatives. Given Principle #5, it is important that co-operatives provide education, training, and information to societies, communities and individuals. Within co-operatives, it is imperative that members and managers have a sophisticated understanding of the co-operative model as co-operatives attempt to differentiate themselves within the dominant capitalist marketplace. 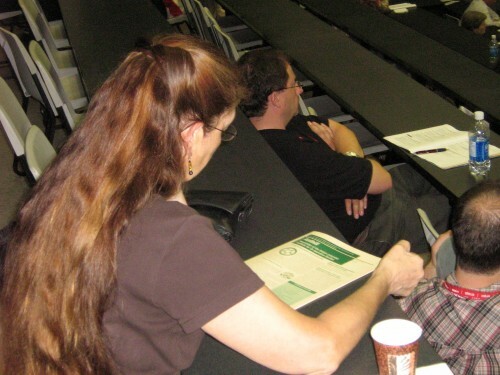 In particular, managing a co-operative according to its principles and values becomes a challenge when the basis for most of the education and training received by our members and managers is based on the capitalist paradigm that fails to provide information on the much broader context within which other models of business exist, including co-operatives. The State of Co-operative Business Education Report will profile the leading co-operative business education programs globally and assess their impact and relevance. The results presented for discussion in this workshop will include the program profiles along with the results from 2 surveys (graduates and co-op sector partners); interviews; and focus group. 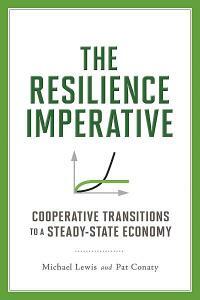 How do co-operatives operating in highly competitive industries survive? Institutional theory would suggest that isomorphic pressures often require growing co-operatives and other social economy organizations to emulate the approaches of traditional private sector corporations to gain legitimacy, particularly in liberal market economies. However, the conflict arising from competing institutional logics can lead to unintended consequences for the co-operative. Drawing upon recent research from the marketing and human resource management fields, I propose that in order for co-operatives operating in highly competitive industries to prosper, they must understand what makes the co-operative model a source of competitive advantage. I highlight the ways in which co-operatives may be able to withstand isomorphic pressures through effective leveraging of the model. Implications for theory and research surrounding co-operatives will be discussed. 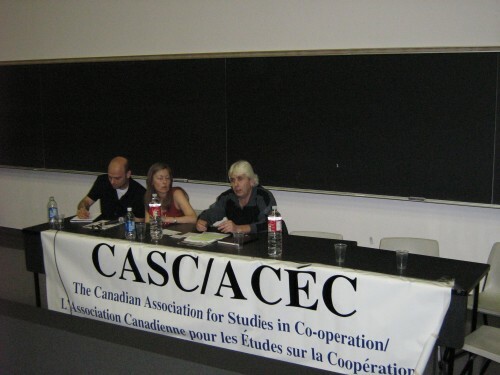 The literature on the student co-operatives in Ontario is scarce. Thus, the first purpose of our research is to obtain some base level data on student co-operatives, such as information about their members, their reasons for joining, the likelihood of their co-operative experience leading to future involvement in the sector, etc. The second goal is to investigate the educational opportunities about co-operatives available to students, both through the co-operatives themselves and universities. Third, we will investigate the issues of sustainability within student co-operatives, such as the possibilities of the co-operatives offering more sustainable goods and services. 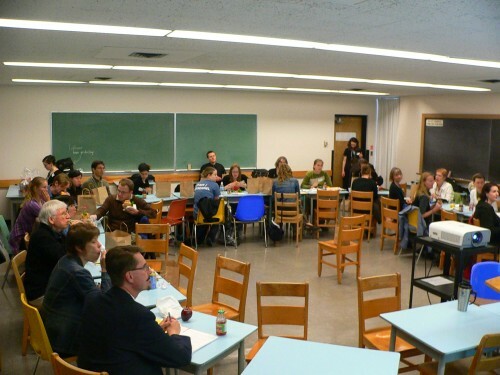 Our research question is: what are the main characteristics and needs of the Ontario student co-operative movement? 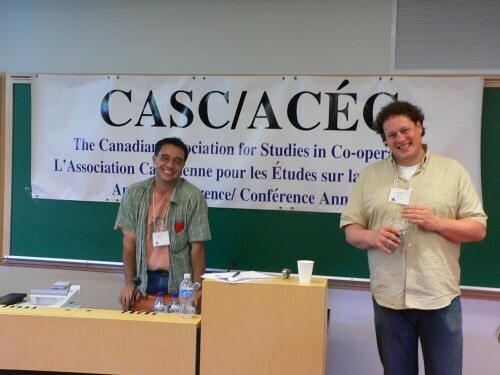 Our research method involves the creation and dissemination of surveys to all student co-operative members in Ontario, most of who are members of housing co-operatives. One of the main issues that confronts the social and solidarity economy is how it can grow (be scaled) to better fulfill the development aspirations of marginalized groups. This paper examines the innovative and controversial role(s) of cooperatives involved in Fairtrade in scaling the social and solidarity economy. In brief, the paper distinguishes three different planes on which scaling can occur – the horizontal (including more participants), the vertical (building organizational capacity, moving up and down value chains) and the transvers (moving across sectors to promote more interaction among social and solidarity economy actors). The paper also distinguishes five functions of Fairtrade that can contribute to scaling the social and solidarity economy – production (small producers, estates), exchange (different forms of value chains), regulation (regulatory bodies, government agencies, etc. ), advocacy (producer organizations) and mobilization (social movements, NGOs, etc). The paper analyses key innovation in Fairtrade (in regulation, exchange, mobilization, etc) and how many of these innovations were later undermined as corporate actors become involved in Fairtrade. 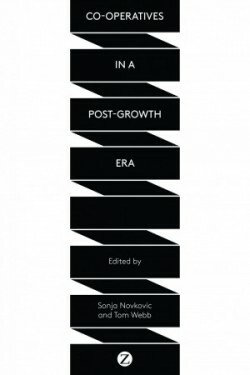 More specifically, it examines how compromises where made between social and solidarity values and growth, which tended to favour horizontal scaling over vertical and transvers scaling. The paper also investigates recent developments which represent counter responses to help Fairtrade to come more closely in line with its original inspiration and values. Ontario’s co-operative food system is flourishing, strengthened by the co-operation among co-operatives occurring throughout the province. The Local Organic Food Co-ops Network, in its fifth year, is continuing to refine and redefine its purpose as a platform to offer education and training, networking opportunities, and to strengthen the capacity of its member co-operatives. From its humble beginnings – a meeting of a dozen co-ops to discuss the sharing of best practices – the Network now supports nearly 70 Ontario co-ops involved in food and farming, rebuilding local economies, supporting resilient ecologies, and strengthening their communities. Recent research studies (Rixon, 2013a and 2013b; Beaubien and Rixon, 2012) found that insurance cooperatives and credit unions are increasingly measuring their performance against investor owned companies (IOCs) in the same industry rather than comparing to other cooperatives. Some would argue that cooperatives should compare performance to other cooperatives (Cote, 2000). However, Birchall, 1998 recognized that cooperative members are not always familiar with what the cooperative principles mean with respect to the operations of a cooperative. The focus of this panel discussion is to examine and discuss the implications of comparing cooperative performance to the commercial sector rather than to other cooperatives. In particular, we would like to explore if the findings in the financial services sector apply to other cooperative sectors. As cooperatives strive to attain the financial performance associated with IOCs, it could be argued that they are moving away from the cooperative and principles and consequently are at risk to lose their cooperative identity. Comparing solidarity chains led by co-operatives and by conventional enterprises: do they generate different outcomes? 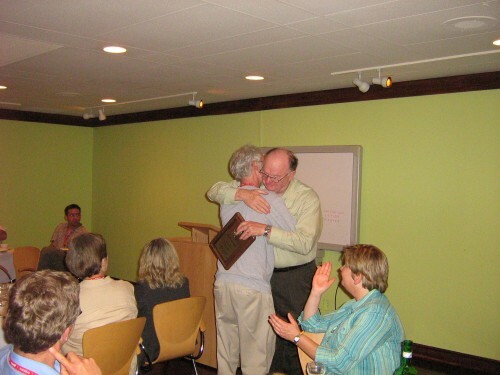 Research on solidarity economy is gaining momentum (Singer, 2003). 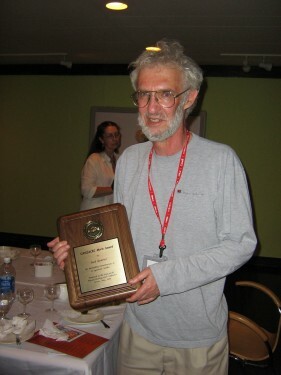 The term “solidarity chains” refers to cross-border chains differing from supply chains management by for-profit enterprises, relying on solidarity networks in developing countries with a ‘triple bottom line’ including social, ethical and environmental sustainability issues (Kleindorfer et al., 2005). Yet, “little comparative research has been done on the scope, operations and impact of fair-trade and co-operatives in developing countries” (Pollet and Develtere, 2004, p.20). This paper will address the latter by comparing three types of chains in terms of ownership and governance practices and their sustainability and development impact. Grounded theory approach and case study method will explore three cases through 20 in-depth semi-structured interviews with key informants, literature survey and data collection (Coop Norge, Pachamama, Starbucks), to understand how different types of “solidarity chains” operate; advancing the co-operative and solidarity literature streams; informing policy-makers and practitioners. This unobstrusive research project is mining the Theses Canada Portal of Library and Archives Canada (LAC) to explore and offer some basic aggregated descriptions of a corpus of 424 Canadian University Theses. 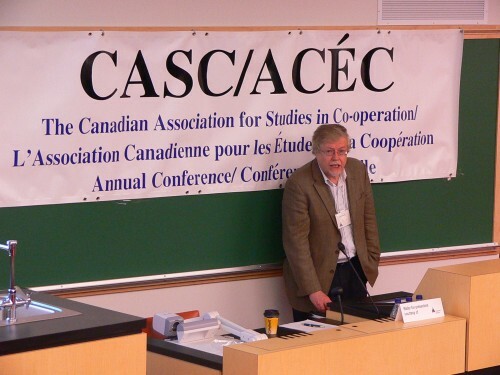 The original question that this research attempted to answer was “how many university Theses relating to co-operatives are produced annually in Canada?” As it turns out, the results of the analysis show that over the 1970-2012 periods the average number of Canadian University Theses on co-operatives and credit unions is around 10 per year, with the numbers varying between 11 and 15 for the most recent years. This descriptive and exploratory project presents other interesting information that will enable us to get a clearer picture on the research on co-operatives done by graduate students at Canadian Universities during the last half-century. Conseil agricole, un moyen de recouvrer une légitimité dans les groupes coopératifs ? L’évolution du secteur agricole a demandé l’adaptation des coopératives dans un contexte de mondialisation. L’émergence des groupes coopératifs formés par des sociétés à statut coopératif, en amont de la production, et des sociétés de droit privé, en aval des filières, provoquent une crise identitaire, résultat de la rupture du lien avec les adhérents. Cette thèse aborde le rôle du conseil agricole dans le renforcement du lien coopérative-adhérent pour résoudre la crise identitaire inhérente des groupes coopératifs agricoles. Une méthode qualitative basée sur la réalisation d’études de cas auprès de cinq groupes coopératifs agricoles français nous a permis d’étudier l’interaction de communautés de nature différente à travers un nouveau mode de gestion des connaissances caractérisé par l’interaction des groupes fonctionnels et de communautés de pratique: le Mode 3. Nous montrons que les conseillers agricoles sont au centre du dispositif de conseil et jouent le rôle de traducteurs entre les deux communautés cognitives. 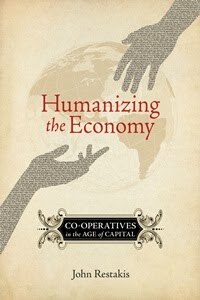 Recent years have witnessed a re-emergence of conversions or worker buyouts of troubled capital-managed firms into worker cooperatives in diverse regions of the world. Italy is one country where workplace conversions have been a fixture for almost thirty years. In Italy, workplace conversions have been facilitated by a strong partnership between the federal state, the worker cooperative movement (especially via the LegaCoop federation), and its labour unions. Through a piece of legislation commonly known as Legge Marcora (49/1985 and 57/2001), this partnership has ensured that, since 1985, almost 200 conversions have taken place involving more than 20,000 workers in sectors as varied as construction, manufacturing, pharmaceuticals, and foodstuffs. Analyzing available financial and performance data from 70 surviving Legge Marcora worker buyouts, and comparing this data with Italy’s greater cooperative movement, this paper maps out a preliminary organizational and financial picture of these Italian converted worker coops over the past three decades. 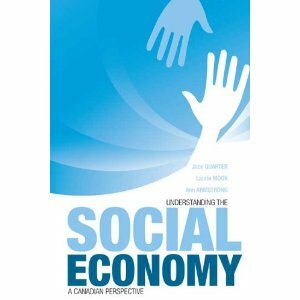 Social entrepreneurship has been of increasing interest to cooperative studies and social economy researchers of late, especially given our global economic crisis (Pérotin, 2012; Spear, 2009, 2011). One reason for this is that the empirical evidence suggests that the social entrepreneurialism inherent to cooperatives and other social enterprises—businesses with strong social missions where members have high degrees of participation and ownership interests—undergirds the resilience of this social businesses in our current situation of economic crisis. Our project seeks to assess, from a mixed-methods perspective, the innovations and challenges of new cooperative development in Canada. Our paper maps out the multiple dimensions, the varied enabling environments, and the challenges to social entrepreneurialism in new cooperative development in Canada today. Drawing from our research findings, our paper concludes by proposing that there is perhaps a “new Canadian model of social entrepreneurship” with new cooperatives throughout the country. Scholars of alternative agrifood initiatives have suggested that there is an inherent contradiction between the marketization of organics and its promise of enhancing social justice and environmental sustainability. The paper challenges this notion by examining the case of CROPP, the largest organic cooperative in the U.S., better known for its brand Organic Valley. Within an agrifood industry that is strongly driven by corporate buyers, Organic Valley has managed to establish a value chain that is effectively governed by farmers, promoting economic, social and environmental sustainability. The paper examines the organizational and value chain innovations that have led to this success, focusing on supply management methods for achieving price stability; mechanisms for democratic cooperative governance; and strategies for effectively coordinating decentralized production. The conditions that allowed for the possibility of the case are analyzed, its vulnerabilities are assessed, and its implications for other agrifood value chains are discussed.